Event will form part of the 2019 Intercontinental GT Challenge. The 9-Hour race will return to Kyalami next year, contested by a full complement of international sports car teams. That announcement was made by Toby Venter, the owner of Kyalami, last weekend. Speaking at the Total Spa 24- Hour race, Venter said the South African 9-hour race will take place on November 1 to 3 next year. It will form part of the 2019 Intercontinental GT Challenge for sports cars. 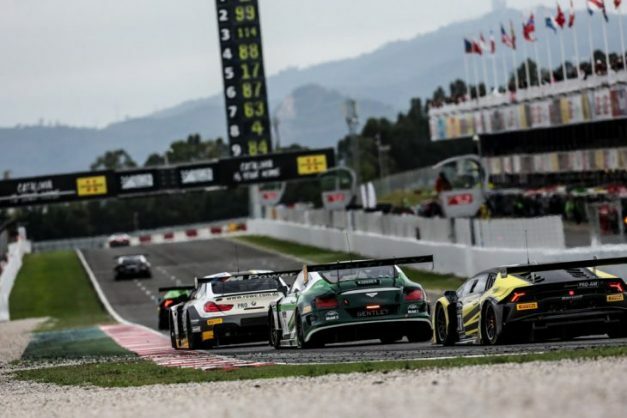 The Intercontinental GT Challenge is now in its third year, with last weekend’s Total 24-hour race at Spa being the second round of the 2018 championship. The other events are the Bathurst 12-Hours in Australia, the Suzuka 10-Hours in Japan and the California 8-Hours. This means that the 2019 championship will visit five continents, with the Kyalami 9-Hour being the season finale. A full entry of overseas teams should attend – last weekend’s race at Spa attracted an entry of 68 cars from 13 manufacturers. Explaining how the return to South Africa occurred, Stephane Ratel of the Intercontinental GT Challenge organisers said: “I was with an old friend from South Africa and told him I would love to go to the new Kyalami. “We are delighted that the new Kyalami facility has been so well received by people in the top echelons of global motor racing. “I am very pleased that the first international race will see a return of the 9-Hour endurance race that was such a favourite with fans and drivers in the past,” commented Toby Venter. “The overseas teams will also have the benefit of being able to stay on after the race to enjoy the wonderful holiday opportunities offered by our beautiful country,” he added. The 9-Hour endurance race was a major component of South African motorsport from 1958 until 1973. John Love and Dawie Gouws won the first 9-Hour at Kyalami in 1961 in a Porsche Spyder. Other famous drivers who won the 9-Hour were David Piper, winning six times in a mixture of Ferraris and a Porsche 917 sharing with Dickie Attwood, plus South Africans Tony Maggs and Bruce Johnstone respectively. Jackie Ickx was a four-time winner, sharing respectively with Jochen Mass, Brian Redman, David Hobbs and Ignazio Giunti in a Ferrari, Ford Mirage and Porsche 956. Reinhold Joest won twice in a Porsche 908 with Mass and Heubert Mueller. Clay Regazzioni won twice in a Ferrari 512 with Brian Redman and once with Arturo Merzario in a Ferrari F312. Gerard Larrousse and Henri Pescarola took the win in a screaming Matra Simca V12 in 1974. Afterwards, there were many significant endurance races at Kyalami, being either 1 000km or 6-Hour events. These included 1 000km rounds in the World Sports Car Championship in 1983 and 1984 with non-championship 500km races being held between 1986 and 1988. These events were followed by a three-year spell of rounds in the Sports Racing World Cup between1998 and 2000, with each race lasting 2.5 hours. However, 2019’s GT race will mark the return of a full 9-Hour race, to re-establish Kyalami on the international calendar.